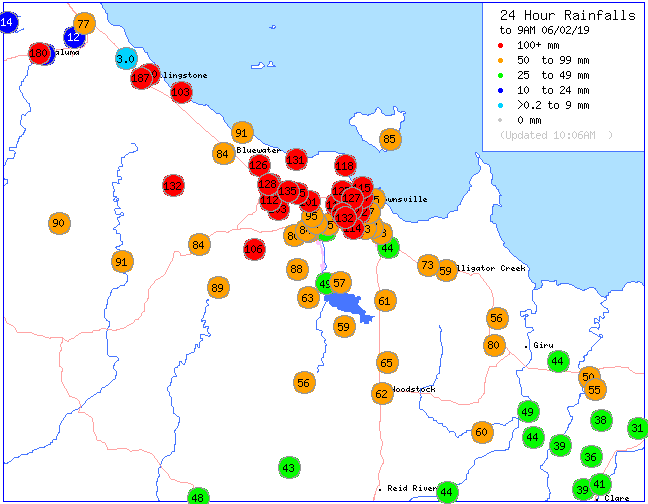 The rainfall totals that keep on keeping on.. even when it seemed like the bulk of it was over, another 50-150mm has fallen over the Townsville area overnight with up to 250mm in some isolated areas. Thankfully for those further South, the predicted 200mm+ didn’t come off, with models failing to pick the monsoon trough convergence movements – this limited the impacts further South, despite some high accumulative totals occurring over the past 10 days regardless of last night. • It is the equivalent of 4.5 years worth of rainfall for Adelaide – Adelaide would also need to break its record for yearly rainfall for almost 3 consecutive years to match what Paluma has recorded in 10 days. • Its almost 15 years worth of rainfall for Birdsville! 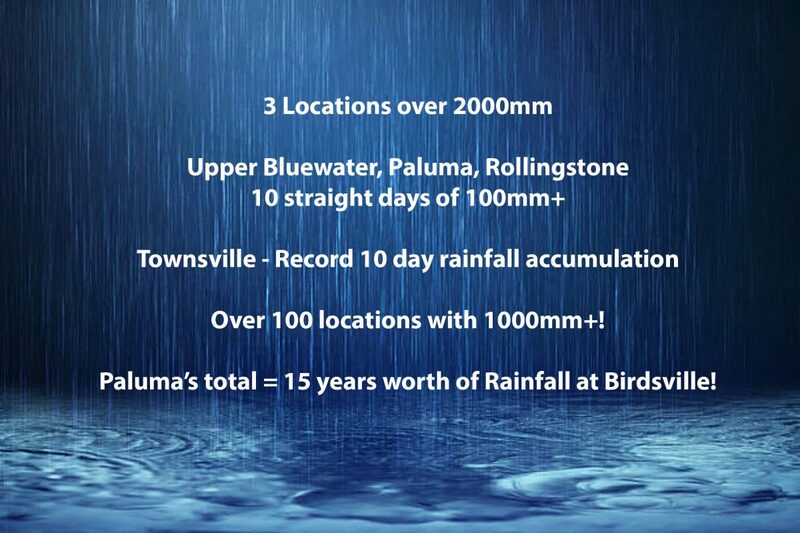 • Paluma’s 2406mm is likely the highest rainfall event total (regardless of duration) from the past 40 years – since Mt Bellenden Ker recorded well over 3000mm. • Upper Bluewater is still the only location to record 3 300mm+ days from this event. 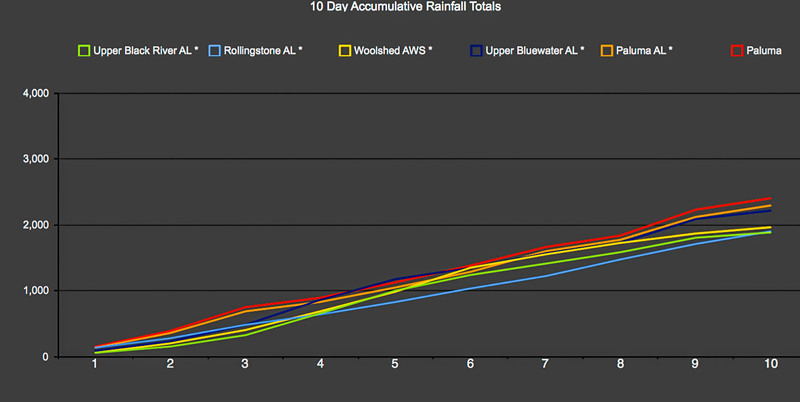 Woolshed still holds the highest consecutive 200mm days with 5. • Townsville is just 97mm shy of its wettest February in recorded history (960mm from 2009 is the record) and the 1257mm over the past 10 days for Townsville City is also well above the previous 10 day accumulative record for the City.